This time of year in Pittsburgh is just weird... in terms of the weather, I mean. It's freezing one day, hot the next, pouring, then gorgeously sunny. I was born April 14th and my mom always says it was snowing when they brought me home from the hospital. So... choosing what to wear for Easter has always been a bit of a wardrobe struggle for me. However, I've kind of learned to just wear what I want and weather be... well, you know. I saw this pastel blue dress in person and it immediately caught my eye. Admittedly, looking at it online, it's not something I would have ever gravitated towards, but in person, it is absolutely lovely. So perfect for Easter with the pastel colors, conservative, classic cut and gorgeous grosgrain bows at the side. The cut is something a little different. It's part shift dress part fit and flare... it makes for one very comfortable dress, though. It's also structured and has a very ladylike feel to it.... exactly how you want to look and feel on Easter! Easter weekend also happens to be my birthday (Good Friday), so I'm trying to decide which dress I should wear and when during that weekend. I love a weekend where I get to get dressed up! 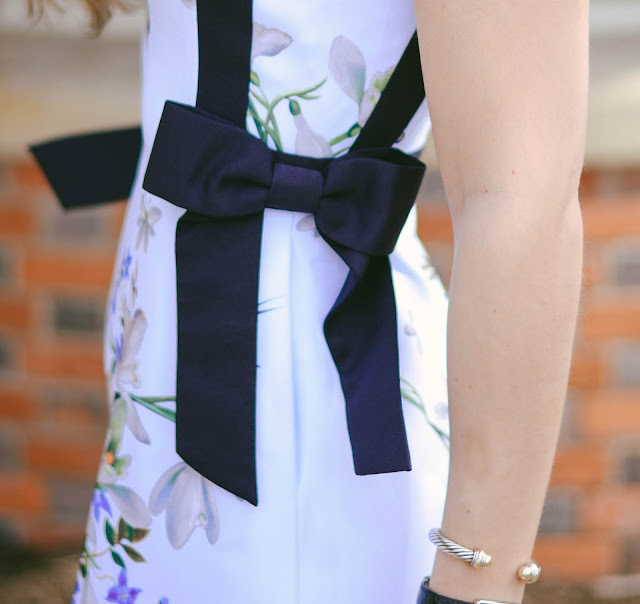 Do you have your Easter dress all picked out yet? You still have just about 2 weeks! For Easter, we go to church in the morning and then my mom gives us our Easter baskets. I really love that my mom still gives us baskets. It's always something little, but we have gotten the same basket every year since I can remember- tradition, I love it. Then, my extended family and family friends come to my parent's house for Easter dinner (always ham) and we celebrate together. What do you and your family do to celebrate? 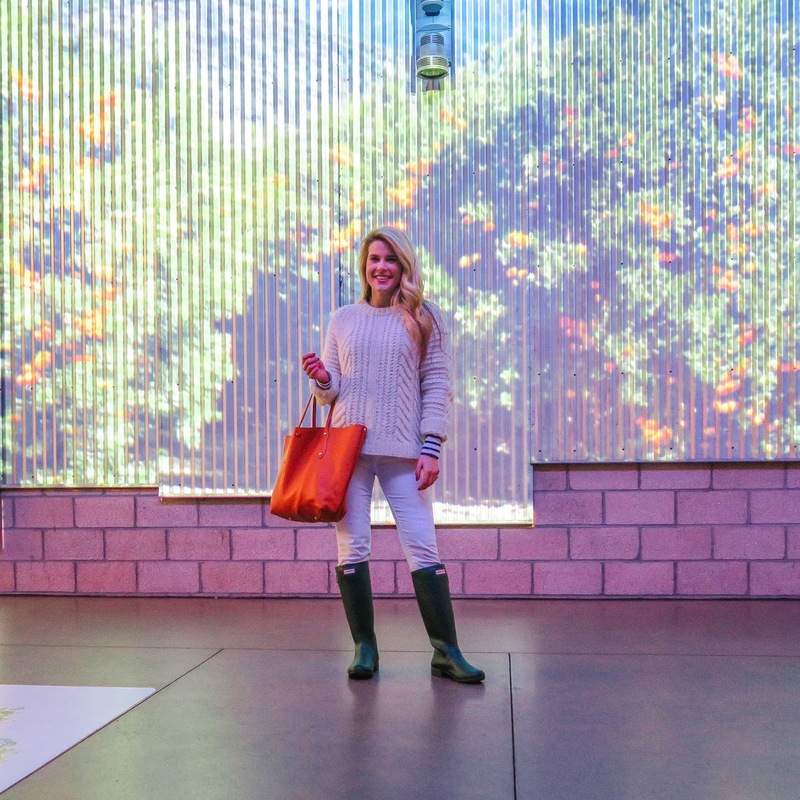 Today we have the weekly 'lately', but with an added outfit post as well, so keep scrolling because it is a long one! Wearing: Last Friday we had our first day of really warm, gorgeous weather. It was the absolute best. I was all over Pitt's gorgeous campus with my cousin, Michael so it was really wonderful we were able to soak up the warmth! This dress was the easiest and most perfect thing to wear, too. Smelling: I just ordered another one of these candles. It is one of my all-time favorite scents and this huge jar lasts a while, which is an added bonus. They also make it in a diffuser which I am considering. I don't really use diffusers, but I love this scent so much, I just might! 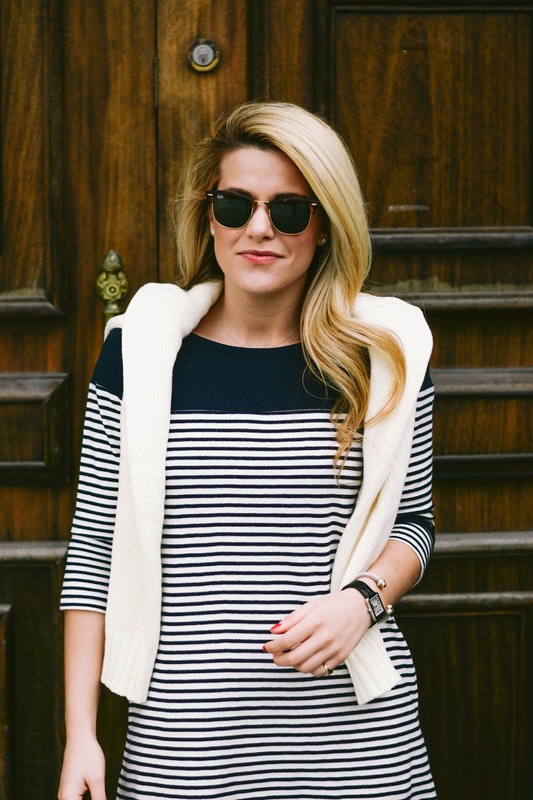 Wanting: I am utterly obsessed with this navy and white striped sweater. 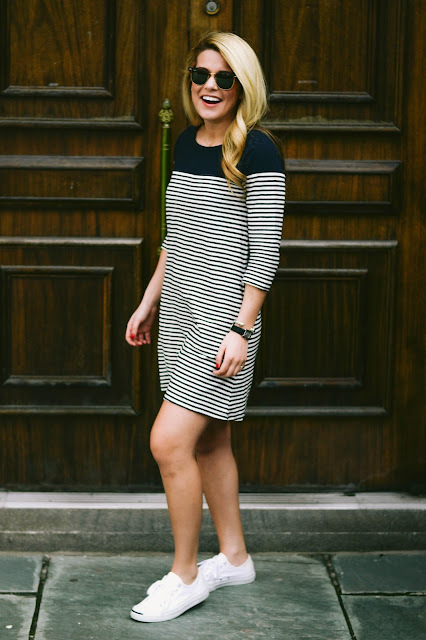 I love the super relaxed look and the stripes are very crisp and clean. I need another navy and white striped top like I need a hole in the head, but at under $70, I think this is going to make its way into my wardrobe. Scroll through the widget above to see more items I am loving. Drinking: Coffee, always coffee. But it's what I'm drinking it out of that is the focus! Sorry for the terrible photo, I was in a rush when taking it, but how adorable are these to-go cups from Target (also have these and these)? Eating: For those of you who follow me on snapchat, here is the recipe for the egg roll in a bowl. It's SO easy and it was seriously one of the best things I've ever made (which I guess is not really saying much, but really it was delicious). Listening: Last week I saw the Cold War Kids at Stage AE. It was a really great concert and not too crowded so we got to get up close which was nice! I've already started on April's playlist, which you can find, here (if you have Spotify). I'll embed the playlist next week once I add more songs! Pittsburgh-ing: This past weekend was the weekend of Tacos. I went to Condado, Bakersfield, and Doce Taqueria. But, you can never have too many tacos, am I right?! Condado is new right on the corner of Liberty and 10th (where Tonic used to be. It was really good and very casual. I think Bakersfield is still better, but definitely worth checking out! Doce Taqueria is in the Southside and is kind of a hole-in-the-wall but sooooo good. It's really inexpensive, too! 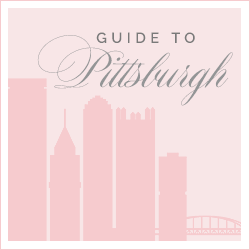 Pittsburgh-ing II: My friends Chris and Bridget just had the most gorgeous, sweet baby and Chris is documenting #dadlife via his new blog. It gives me such entertainment- he's so funny but also keeps it real. I've been loving that it is from a Dad's perspective! 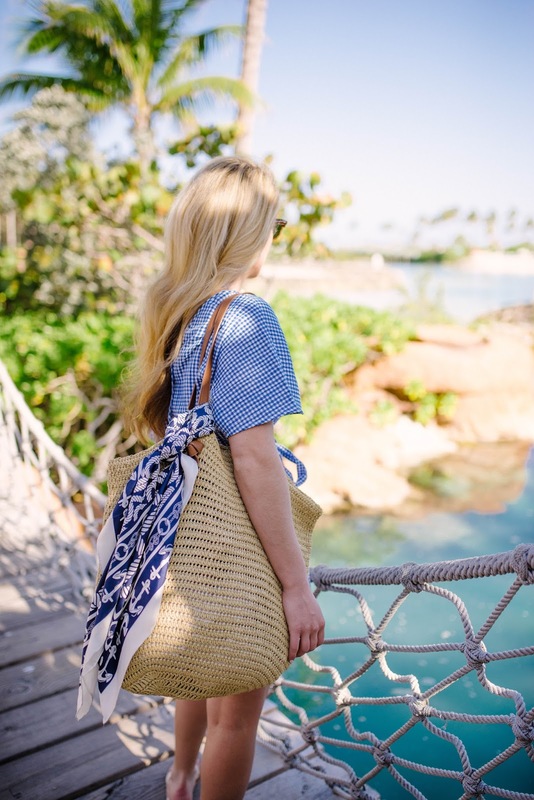 Loving: This is a photo of the products I brought to the Atlantis with me. I wanted to share what I loved- I brought a few new products and then a few tried-and-true. This moisturizer and eye moisturizer will be a forever favorite and must-have. I also aways make sure to bring my Clarisonic with me to make sure my face is always clean before going to bed! I washed with a new-to-me cleanser by Zo Skin Health which I now love because it's so light but effective. I used this Tula eye serum each morning (use code sydneywinter20 for 20% off through 4/1). I love that it has a dose of caffeine to wake up my tired eyes! I flew with the June Jacobs moisturizing mask and then one night while I took a bath, I used the detoxifying and renew mask. I really liked both. They weren't intense, but just a really light, fun mask to use and packaged perfectly for travel. I also used this SPF 30+ Primer and it was amazing. The absolute perfect base to wear under my makeup for skin protection but also made my makeup go on really smooth! Sale-ing: This classic top is currently 60% off. It comes in both black and white and all sizes are in stock as of writing this. It's such a good deal considering you can wear this for basically anything and everything. I also love these super casual denim shorts that are currently being price matched. If anyone asks me to describe my style, I first say classic and timeless. Then I add 'with a youthful/city twist' and finish off with 'preppy influences'. There was a time in high school and college where I would have just said that my style is 'preppy', but as I've gotten older, I've refined my wardrobe and taste. Now, it's much clearer to me that I like timeless, classics rather than full-on East Coast preppy. Think diamond stud earrings, black cashmere cable knit sweaters, navy and white striped shirts, tortoiseshell sunglasses, little black dresses, ballet flats, etc. However, that's not to say that I don't have a ton of pieces in my wardrobe that most would consider preppy. I actually have an affinity for preppy tennis shoes. 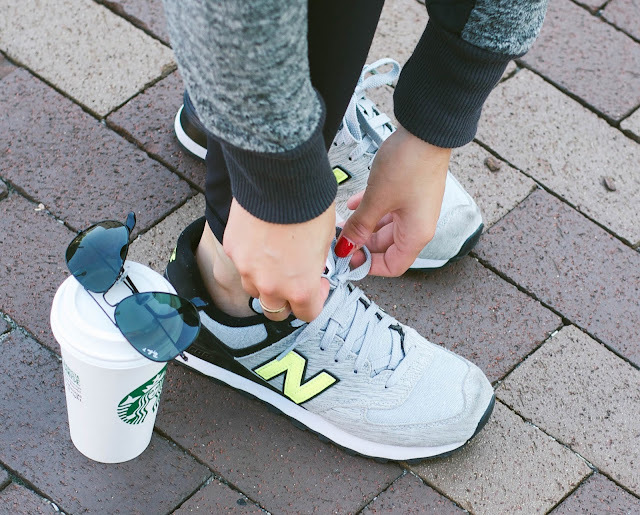 We're talking the kind that aren't really worn for athletics, but more on the weekends. It's also really interesting to me that I'm writing an entire post on tennis shoes because just a handful of years ago, I would not have been caught dead in sneakers of any kind. I always thought they seemed too masculine/sporty or just too casual. I really only ever wore sneakers when working out/going to the gym. Now, I am constantly dressed in athleisure (and apparently so is the rest of America) and sneakers are the only appropriate footwear! Needless to say, I've worked up quite the collection. I thought I'd round up my favorite brands and styles of 'preppy athleisure' shoes with you because they're the perfect thing to have in your closet for those lazy spring/summer weekends! Also, every single pair I am sharing is under $100! Tretorn// I feel like the Nylites are the most classic of all the shoes mentioned in this post. I love the green and white, but the all white are pretty chic, too. I have the all-white, but only because I already have too many pairs of green and white sneakers. I am also loving this lower profile all-white sneaker that they are currently making and like most brands, they also offer a leather option. The special thing about this leather option is the contrasting sole, which I love. Seavees// These have a cool, laid back California/West Coast vibe to them. The two styles I love are the Monterey and the Legend. 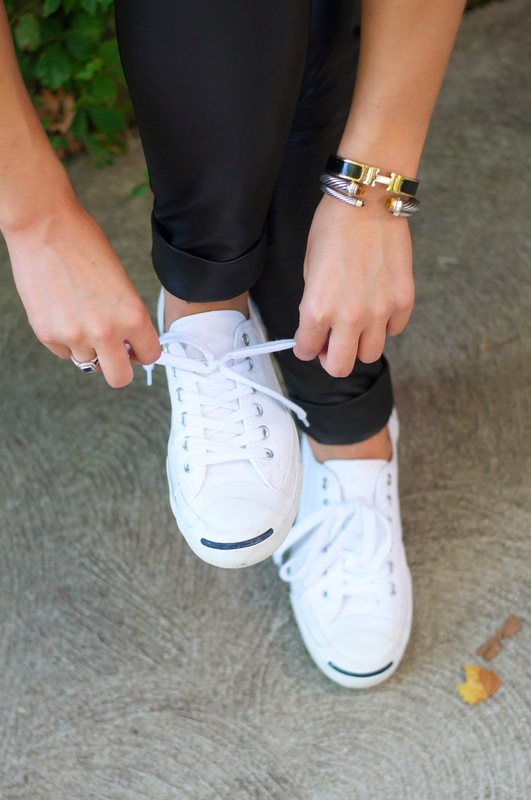 Jack Purcell// These are made by Converse and are probably one of the most-worn shoes in my closet. I've had them for almost 10 years and they never fail me. Simple, classic, easy wear and also machine washable. They are made from a style from the 1930's worn by Jack Purcell, a Canadian badminton player... definitely timeless! Chuck Taylors// A total American classic from Converse. At under $50, they're for everyone. 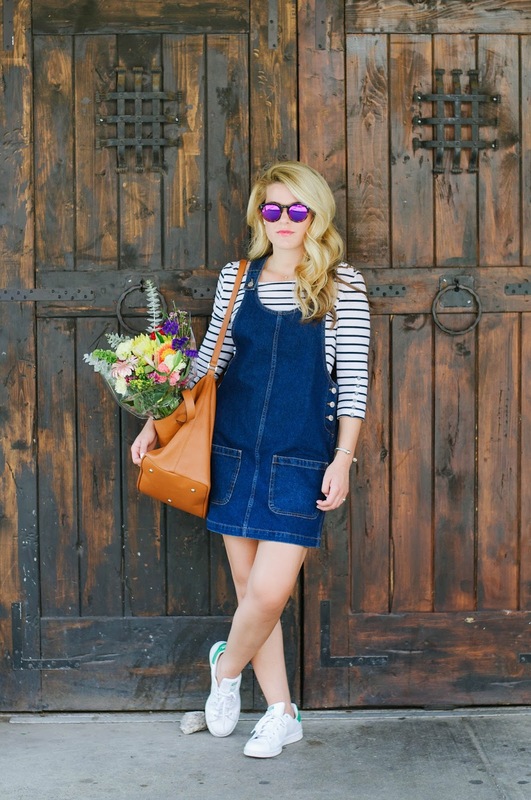 Whether your 5 or 75, these are about as basic and classic as you can get! Sperry// I can't talk about Sperry without mentioning their classic boat shoe. But let's get one thing straight. There are about a million different versions, but the only one I personally consider a necessity or classic (for both men and women) are the 'authentic original' in nutmeg leather. Now, moving onto the sneakers, a great classic is the seacoast (in ivory with the brown leather laces). I think I love these so much because they remind me of my dad who has always has had a pair like this. Something similar to the seacoast is the 'crest' sneaker which is a little bit of a modern take. And lastly, I just got introduced to Sperry's newest addition: the 7 seas boat shoe sneaker. They're cute but also totally functional for running/workouts/etc. I wear mine to tennis often and they are SO comfortable. 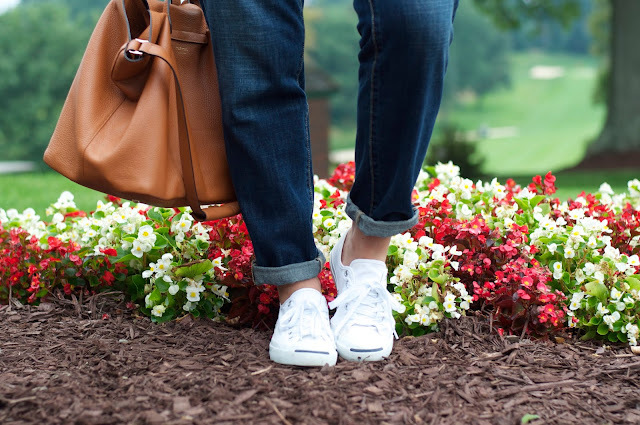 Superga// The cotu's are a major classic. They come in a bevy of colors, but I always prefer a white sneaker. The nice part about these is that you can get them dirty, but then throw them right in the washing machine! If you are looking for something a little more luxe or modern, they have a leather option that still has a classic profile, but is updated slightly! New Balance// I guess you could go super tradition and go with a 991/992/993. I think they're fine for guys, but honestly, I really don't love them for women. However, I am a huge New Balance fan. I have several pairs and wear them constantly. My favorite pair is the 574 and I most recently got the 696 (which I've been wearing practically daily). Overall New Balance is well-made, comfortable and stylish without being over-the-top. Adidas// Although they have had an 'it' moment the past few years, there is no denying that Stan Smiths are an all around classic for both men and women. Be sure to get it in the green. These are my go-to, especially when traveling through airports. They're easy to slip on and off, don't get dirty too easily, are comfortable, and go with pretty much everything. Another great style is the Rod Laver. I don't personally have these, but my dad does and I love them. I'm trying to hold back on buying them because they are so similar to the Jack Purcell, but I really love the vintage look. I can't believe it's been several weeks since I left the Bahamas. Thankfully, as of this past weekend, I think Pittsburgh has started to swing into full-on spring mode! It's been 70 and sunny and it's made me sooooo happy. Good thing I didn't put away some of the items I brought to the Bahamas. I'll be wearing them before I know it! Gingham is definitely one of my favorite patterns, but specifically, navy and white gingham. 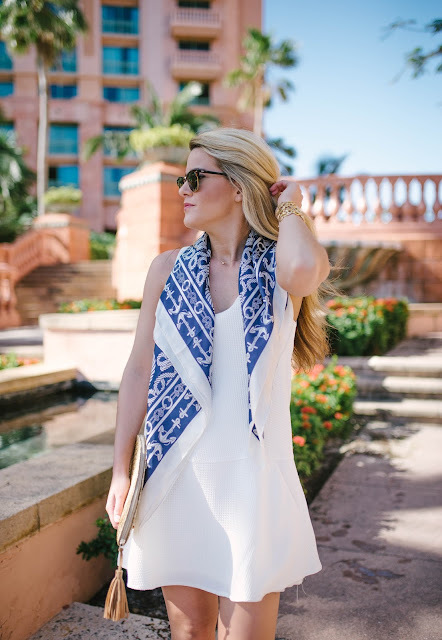 It's fresh but classic and so easy to wear during the warmer months. It's almost a neutral if you ask me! 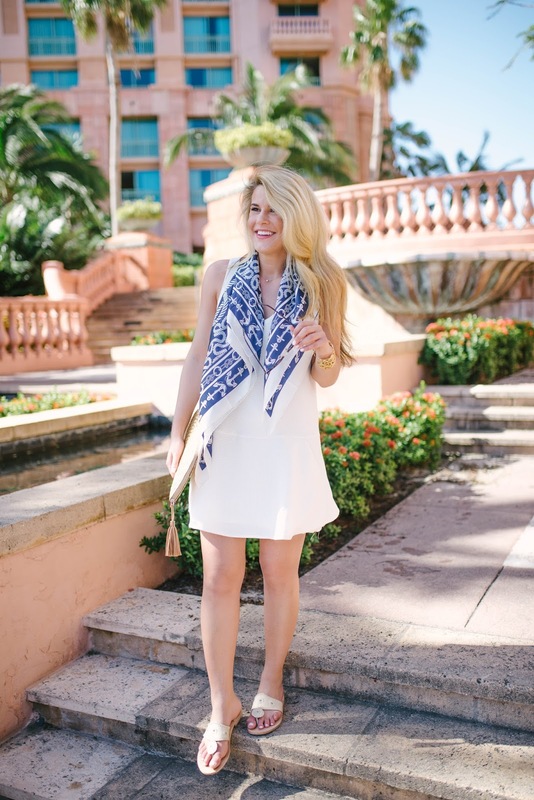 When I saw this gingham coverup online, I knew it was perfect for traveling. The fabric is crinkled so when packing, it didn't wrinkle and there was no need for an iron or steamer before wearing it. I also love this kind of fabric for coverups because there are so many times that I just stuff it in my bag and forget about it. So it is always nice to have a piece that can travel easily. It runs really big. I definitely suggest sizing down by at least one size. I am wearing a size xs and it is still quite roomy, but I kind of like a roomier cover up anyway! You can scroll through the above widget to see more gingham pieces I am loving for spring/summer. It seems as though this is definitely very 'in' right now because there are an abundance of options at most retailers! However, I definitely find this to be a classic 'print' and one you will get wear out of for years to come! Happy Monday! I hope you all had a lovely weekend. Mine was full and fun. Lots of eating out, hanging out with friends, playing tennis and enjoying the beautiful weather! I'm excited for a fresh, new week. This one is supremely busy for me, but sometimes, those end up being the best kind, right? I thought I'd start off this week with something a bit different... a bit of a frivolous, but fun post. Many of you have been reading here for a while, but there are also a fair share of newer readers here, too! I am sharing some random 'things' that I love. They're all pretty light and trivial, but I think that they give way to my personality and might be a good way for you all to get to know me a little better! I'd love for you to share some 'things' that you love (leave them in the comments! ), too. Just popping it to share some of my finds from this past week. I feel like there were SO many good things, so here it goes! Hope you're all having a wonderful weekend! We have had the most beautiful weather here. It's been partly sunny right around 72. Pure perfection if you ask me! With all of the Bahamas posts this week, I am dreaming of going somewhere warm again. It's been really chilly here this week, but looking ahead, it looks like Pittsburgh might be done with the worst (knock on wood). 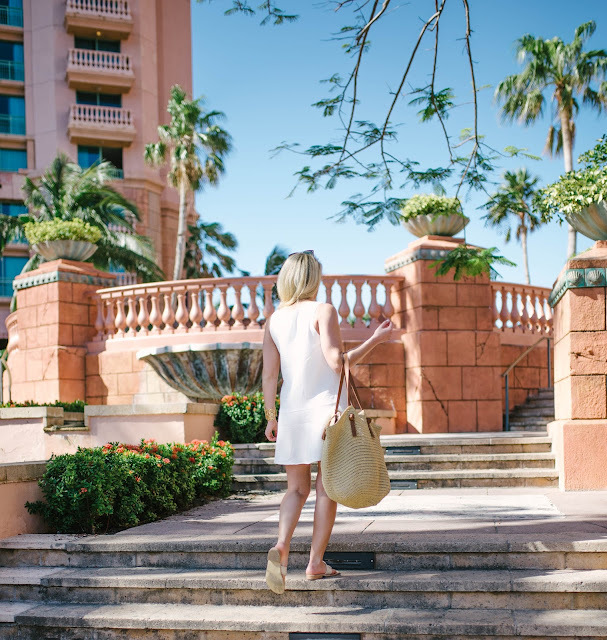 These photos were taken right outside of Atlantis's Royal Towers. It's the classic image you think of when thinking of Atlantis. Everything is so grand, I definitely wanted to capture that (see my full Atlantis post, here)! If white was considered a 'color', it'd be one of my favorites, that's for sure. I wear so much white and it looks good on everyone. I especially love wearing all white during the summer months. It's so crisp and clean. And white dresses? They're my absolute favorite. I actually don't buy too many, because, at my age, I can't really wear them to a lot of the functions I am invited to such as weddings and bridal showers. So I don't like to spend too much on them and I also make sure they're super casual so I can wear them more for every day, rather than for occasions! This one totally fit the bill, that's for sure. It's simple and classic but definitely has a 'young' twist with the dropped waist and slight flounce hem. But it also keeps things classic with an a-line silhouette and subtle v-neck. 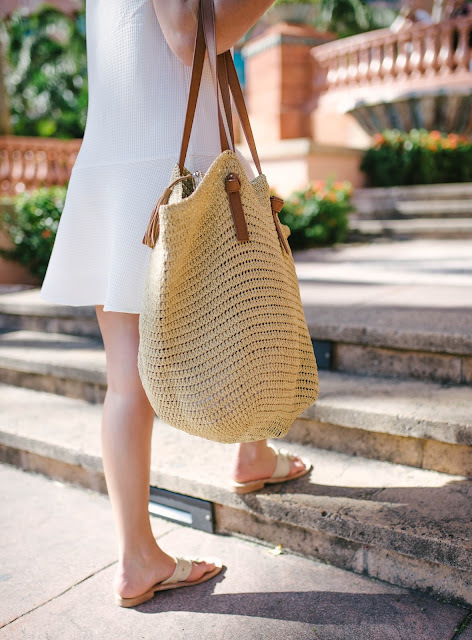 The waffle texture of the fabric elevates it and makes it look and feel pricier than it actually is (under $100!). I decided to toss on this silk scarf to add some interest and color. It was tied on my raffia tote, but right before the photos, I thought it was the perfect thing to add around my neck! As for sizing, I am wearing a size small, but I really think it runs big, so size down if you can! 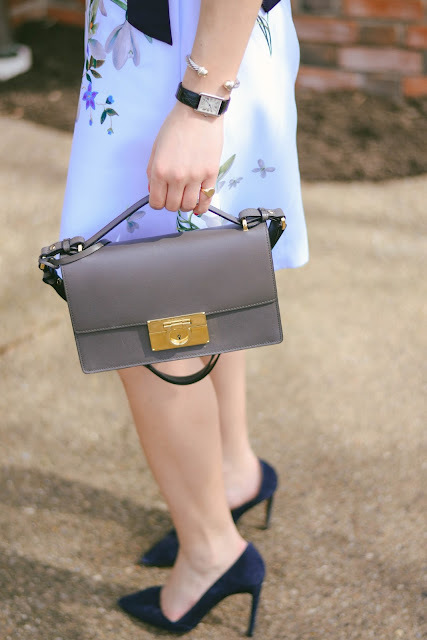 Sneak peek of tomorrow's post! Thursday, already?! This week FLEW by. I feel like I have a lot going on this weekend, yet I have no set plans. Some friends in town, some friends having some get-togethers, but I've decided not to commit to anything so I can just go with the flow. 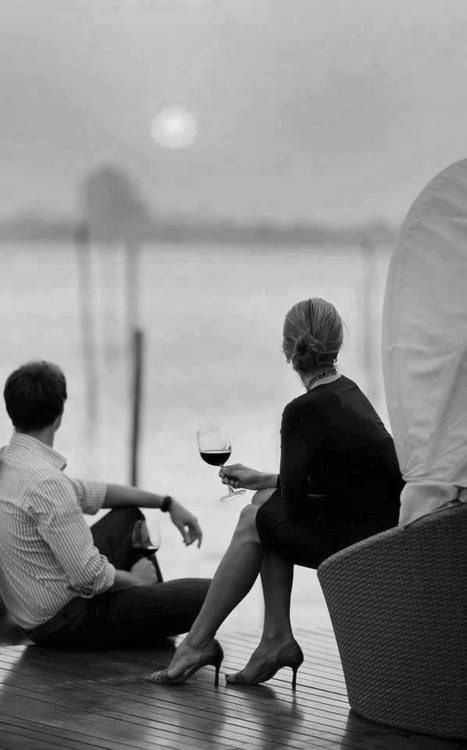 Sometimes that is the best kind of weekend, right?! This week, my goal was to do a little spring cleaning. I started with my coat closet and then my hanging clothes in my closet. Next up are my shoes/accessories/handbags and folded clothes. I hope to have everything in perfect order in the next few weeks... spring cleaning at its best! I also decided to go through all of my workout clothes/athleisure pieces and do a major purge and then stock up on some new things. I do tennis twice a week and workout about 3-5 days a week on top of that, so I really need some new things. If anyone is a fan of Nike Tempo shorts (can't shake my college uniform, ha! ), I found a great price on those on 6pm.com. A website I don't think I've ever used before, but some of the pairs were just $17.99! They also had a great selection of tennis skirts at really inexpensive prices (we're talking like TJ Maxx/Marshall prices!!). Eating: On Monday, two of my best girlfriends got together for dinner and drinks at a new restaurant, Union Standard in the Union Trust building downtown. It's a restaurant by Derek Stevens and to me, the menu seems American, but creative and somewhat 'farm to table' style in ingredients. There are also a bunch of oysters and appetizers available besides the entrees. I had SUPER high hopes for this restaurant. It's really close to me and very walkable, plus the atmosphere is pretty cool. However, it was good, but I think for what you get, it is overpriced. I also think that the service wasn't 'high-end' enough/attentive for the prices. Everything we ordered was good, but I felt like a lot of other restaurants do the same type of thing only better and less pricey. It's nice to have some variety, but I don't think I'll go back anytime too soon. I will, however, note that it would be a great spot for happy hour for cocktails and oysters. I LOVE that they had Wolffer Estate Rose on their wine list (which is one of my favorites and near impossible to find in Pittsburgh) and they also had a really unique and diversified cocktail list. Oysters and cocktails, what more could you want?! Reading: Have you all heard of This Lullaby by Sarah Dessen? Apparently, it's a YA book and it's been around for a while, but I've recently heard multiple people rave about it. I just ordered it, so we'll see! I'm assuming it will be a super quick and easy read which is really all I was looking for right now! Smelling: Have you heard of this perfume that apparently smells very similar to Le Labo's Santal 33? I'm really intrigued. I got this perfume for Christmas (I'm obsessed), so whenever I run out, I'm going to get Santal 33, but would really love to smell the less pricey version before I buy! Watching: You all must watch Big Little Lies on HBO. It stars Reese Witherspoon, Nicole Kidman, and Shailene Woodley and it is so addicting. It is based off a novel, but I haven't read it... but now want to! It's a mystery-type story line but with a lot of character's story lines that will (or at least I assume) add up in the end! Definitely worth a watch but it's one of those shows you really have to focus and pay attention to! Listening: Continuing with the topic of Big Little Lies, the soundtrack is SO good. Seriously, whoever put it together deserves a promotion because they killed it. I absolutely love River by Leon Bridges. It is by far one of my favorite songs of all time so I really love that that is included! And Casmir Pulaski Day by Sufjan Stevens is on it, too... does that remind anyone of The OC?! 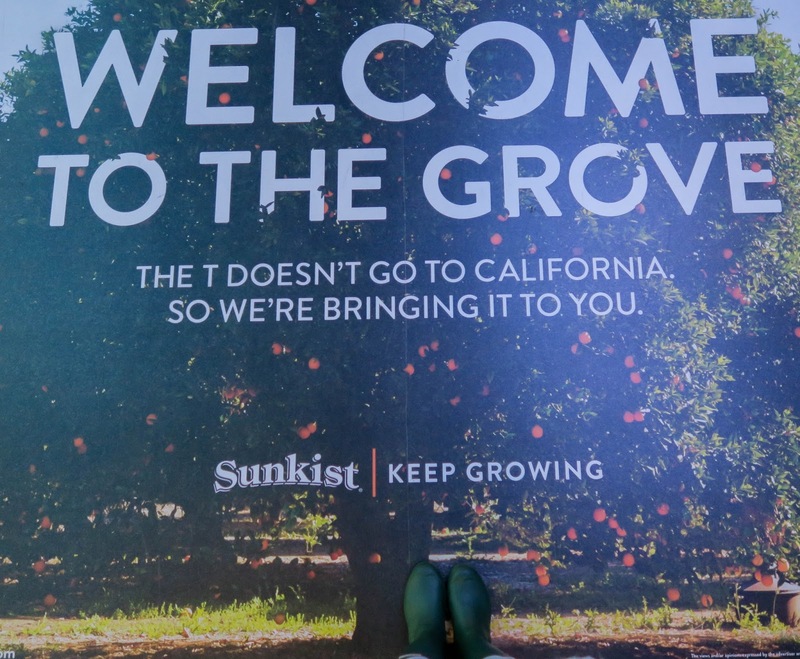 Pittsburgh-ing: On Tuesday morning I headed over to the North Shore T station to check out a really cool installation that Sunkist created just for Pittsburgh! If you are in the city, it’s definitely worth checking out. 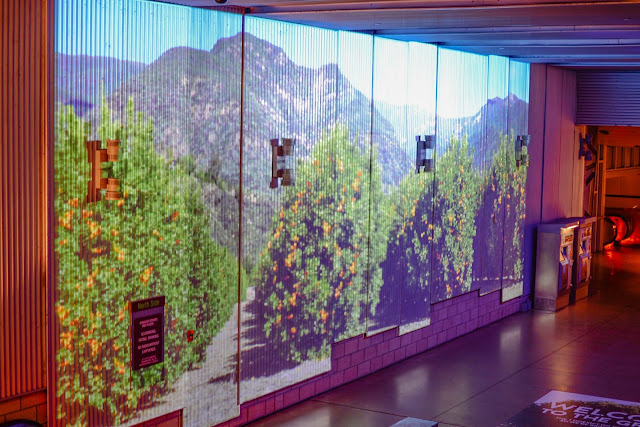 As you are entering or exiting the T (Pittsburgh’s metro/subway, if you are not familiar), you are greeted with a panoramic, larger-than-life video of a citrus grove in California. It really appeals to all the senses as you can actually hear the birds chirping and smell the oranges. 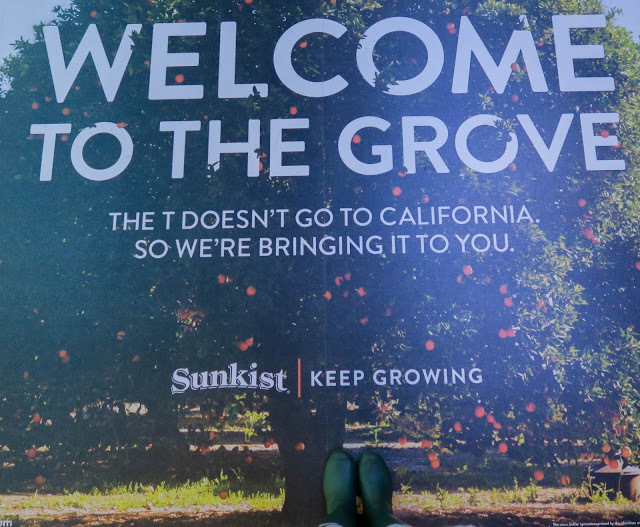 I love the tagline, too: The T doesn’t go to California, so we’re bringing it to you. Such a cool thing to have in Pittsburgh! It’s going on now through Saturday from 6am-8pm. Thanks to Sunkist for sponsoring this! Wanting: I wore my first one piece while in the Bahamas. I've always been weird about one-pieces since one of my favorite parts of my body is my stomach and I've always thought 'why hide that'? But since there is a resurgence in the trend, there are SO many options and I've started to really like them! I stumbled across this one. It's rather plain, but there is something so chic about its simplicity. I think it would look so cute when worth with these shorts for a nautical/patriotic look. Both pieces are under $100, too! Wanting II: This sweater is SO cute. It's too pricey for what it is, in my opinion, but I'm still absolutely loving it. It'd look so chic and put-together with just slim black pants and a black pump. On a much more affordable note, this little camisole is under $40 and comes in a bunch of colors. It's cute and is a great basic to have on hand. I like to wear these kinds of tops on their own with white jeans in the summer, but right now they work beautifully under waterfall/shawl-style sweaters! See more of my favorites in the widget above. Loving: So 'loving' is a bit of a strong word for this, I guess. Juicy Couture is back... yes, you heard that right. I still have old Juicy zip ups from my freshman year of high school. Part of me loves it because #nostalgia, and then another part of me is like 'no'. What are your thoughts of the comeback?! Loving II: If this isn't the cutest take on a classic white, long-sleeve tee, I don't know what is. Totally need this. 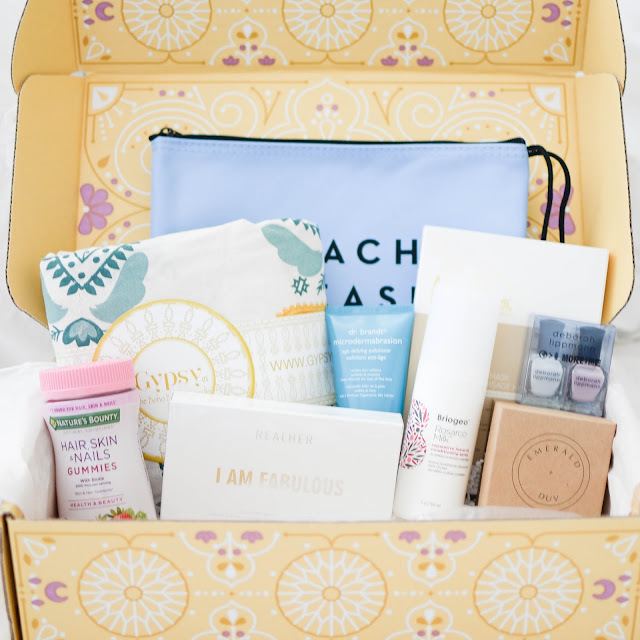 Recommending: I just love getting these FabFitFun boxes (use code SYDC for $10 off your first box). They have so many products and brands that I would have never known about. I always find at least one new product that I absolutely love. This time around, I am obsessed with the Milly bathing suit pouch that says 'Beach Please' on it! I lost my bathing suit bag and have been looking for a new one, so this was such great timing! I'm also obsessed with the Deborah Lippmann shade that they sent called Shape of My Heart- it seems similar to Essie's Fiji but is a little pinker, which I prefer! Look for Less: I've shared a few looks for less in regards to the Gucci Princetown loafers. I have the Gucci ones (they come in brown, too, and now I want those....), but this suede version is almost an exact dupe for under $60. I wear mine all the time- they're beyond comfortable and so easy to just slip on and go! Trying: I really want to try this Dior lip balm 'stuff'. One of my friends was telling me about this earlier this week and apparently, it's amazing. During the week, I like to wear a very natural lip color and really prefer lip balm to anything else. So I'm really down to try this!